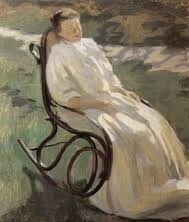 The last two days have been simply gorgeous – fierce sunshine accompanied by light breezes. The daffodils broke out from their winter’s nap and are doing their very best to produce flowers in a few weeks…. which won’t be easy since, last summer, the guy who mows my lawn simply mowed over all the naturalized daffodils living under my big oak tree. Spring flower bulbs need to absorb a good amount of sunshine through their leaves so they’ll have enough energy to push through the ground the next spring. ++ There’ve been years I’ve made fencing with small twigs and twine to protect (from my lawn mowing guy) the daffodils after they’d bloomed. Those leave may not look like much – but they should remain until the tips begin to brown. Only then can you be sure the bulbs will bloom in Full Force for the next spring. This morning the sun is hidden behind misty grey clouds and rain is soaking the thirsty perennials and bulbs. So – I am forced to forget about working outside in my gardens. Instead, I perused some of the great summer decorating ideas I’ve saved on Pinterest. I thought you might enjoy seeing a few of these ideas, and that they might inspire you as they have done for me! Enjoy !! Mason Jars are so versatile… but you already knew that! 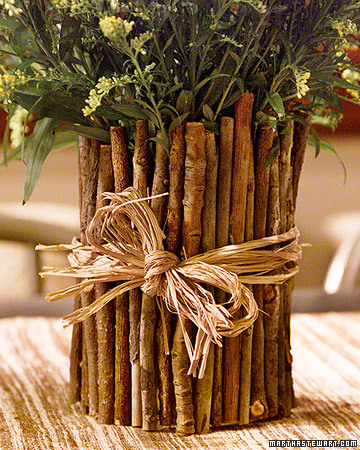 You can wrap them in twine and use them as vases – or as utensil holders for buffets or barbeques. You can have the kids paint flowers on the outside, put a battery-powered ‘candle’ inside and, using florist wire, hang them from the nearest tree. 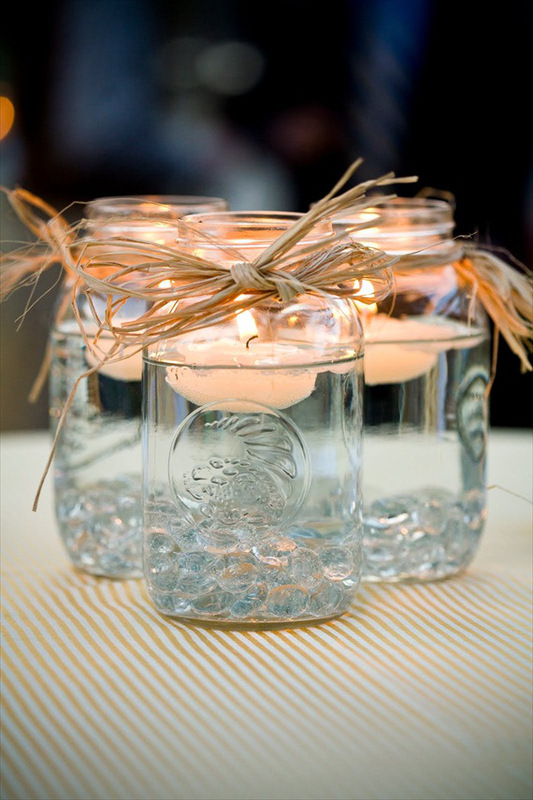 I’ve also tied raffia or ribbon to the tops of small mason jars and used them as candle holders. 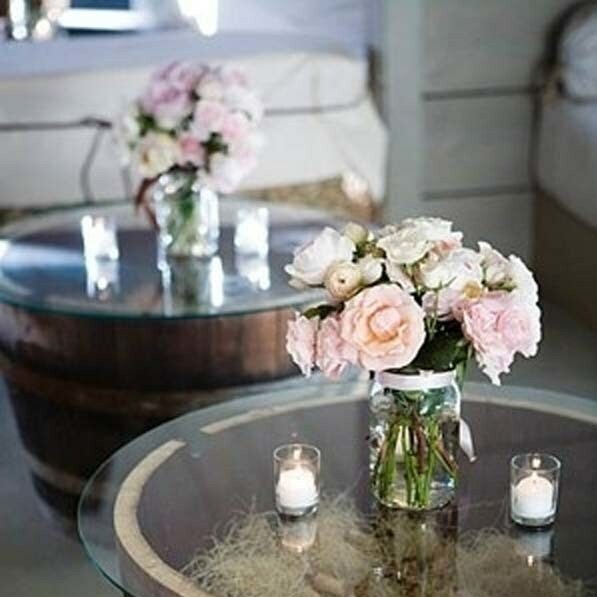 Whiskey Barrel Tables – easy and inexpensive. LOVE, LOVE, LOVE this idea !! Eighteen inch Whiskey Barrels, sold at Home Depot, topped with 20′ glass table toppers from Bed, Bath and Beyond. Viralnova.com is loaded with tons of excellent D.Y. I.outdoor ideas, including these tables. I suggest you ‘drop by’. 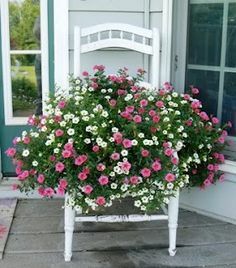 I know the idea of placing a pot of flowers on an old chair is nothing new, but I’m finally going to do this with an old ‘ladies rocker‘ I’ve had for years. A ladies rocker is smaller than most old/antique rockers and there’s no arms on the rocker. 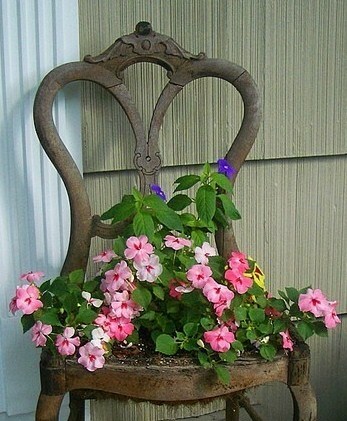 To get the effect below, I suggest buying a hanging planter & removing the hanger. And don’t forget, occasionally, to give all your potted plants a good dose of plant food ! I hope these ideas have inspired you a bit – especially on a dark and dreary day such as today! Next Post ‘S’Mores Cupcakes’ …. Buttery, Chocolatey, Marshmallow Goodness – No Frosting Needed !! Spring is always the best time of the year, because you know winter is coming to an end. I dread winters and I’m already worrying about December. Have a lovely week! I love mason jars, especially the antic ones. Thanks for all the good ideas. I like these ideas! Mason jars are so versatile aren’t they! Lovely post. Hi There! 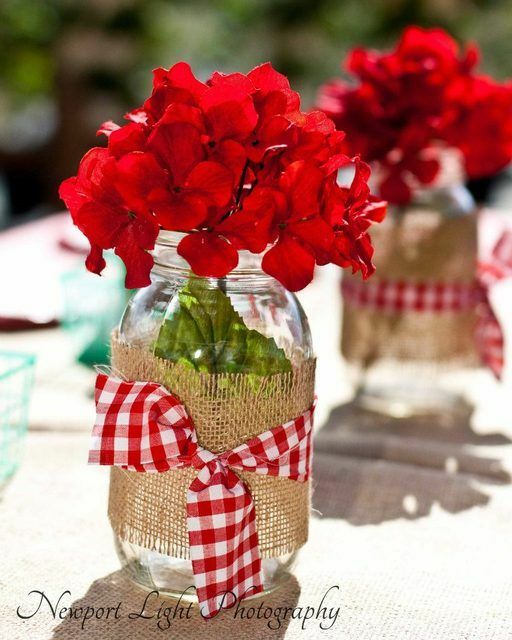 I totally agree – there’s so many things that can be done with mason jars! Lovely decorating ideas. 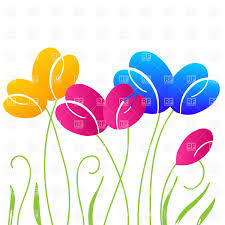 You brought a note of colour to my gray and rainy day. I took the day off to nurse myself through a sore throat, snuffly nose and a bit of a fever … didn’t want to take it to school and infect the students. I’m afraid my mason jars usually end up holding spices, lemonade, sauces etc. 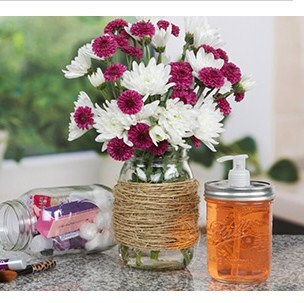 I’m more often trying to eliminate clutter on my tables and counters (as I tend to knock things over and make a mess) than adding jars of flowers to them. The daffodils I brought into the house on the weekend were a rare exception. 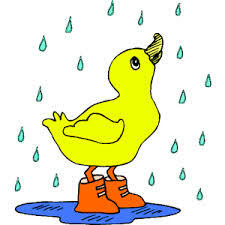 Sorry to hear both that you’re not feeling well – and that your day is a grey and nasty as it is here. Thanks for your sweet comment about this post. I had fun doing it and it’s gotten me even more excited to really get my gardens in order!! I’d like to start some herbs from seeds this coming weekend which, with my black thumb, is as much gardening as I do. I’ve planted them before but my timing is usually off and they all flourish at the same time which means I have to use them up or start drying… which I always seem to forget to do. Are you planting herbs? I can understand the problem, for sure!